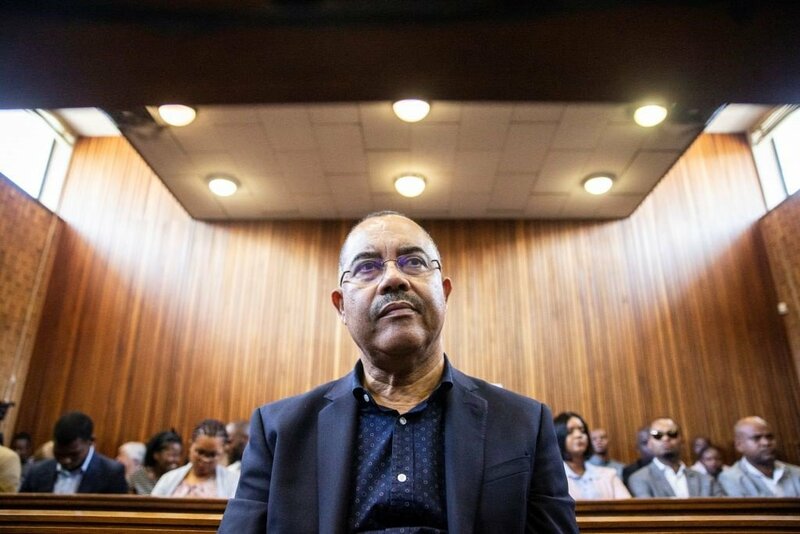 Former Mozambican finance minister Manuel Chang should be extradited to the US where he is wanted on allegations of conspiracy to commit fraud and taking millions of dollars in bribes in a $2bn loan scandal, the Kempton Park Magistrate's Court ruled on Monday. Chang was given 15 days to appeal the decision. Security was tight as Chang was brought into court from the holding cells below, with the court doors being guarded by seven SAPS members wielding assault rifles. Magistrate William Schutte said Chang was allegedly involved in several fraudulent transactions which had taken place in New York City in the US. "There is sufficient evidence to warrant a prosecution [in the US], on charges of conspiracy to commit fraud, securities fraud and money laundering," Schutte said. Chang was arrested in South Africa on December 30 on a warrant issued by authorities in the US. The former minister had fought his extradition to the US, saying he would prefer to be sent to his home country. He had argued that he would have better prospects of bail and a fair trial in Mozambique. An extradition request from Mozambique was officially handed to the court on Monday. The court reserved judgement in the matter and was adjourned. It is however expected that an extradition order will be granted when Schutte rules on the matter on Monday afternoon. Chang faces seven counts in that country, among which abuse of power and fraud. Justice and Correctional Services Minister Michael Masutha will then have to decide which order be executed. Schutte said, at his previous appearance, "Chang was not to be extradited if the requesting state(s) will prosecute him [on] the basis of race, belief, religion, nationality or different political opinion, and that that state should move in line with SA laws for the extradition to be granted". The court was not meant to determine whether Chang was guilty or not, but to consider if there was a reasonable chance of successful prosecution should he be extradited. US Assistant Secretary of State Tibor Nagy said, during an earlier telephonic briefing, he expected South Africa to honour the extradition accord it signed in 1999. "We have an extradition treaty with South Africa, we are very much expecting [that the extradition] will happen," Nagy said at the time.